This review originally appeared on Books-N-Reviews by Paula Rose on Publishers Marketplace. 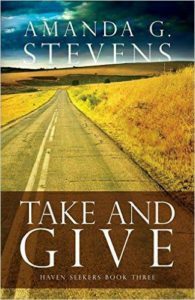 TAKE AND GIVE by Amanda G. Stevens pulls us deep into the story from paragraph one jolting you into a futuristic world. It doesn’t take long to forget this story isn’t your present as you share much with these characters because what they are going through spirals into your mind leaving you to wonder. What if? With suspense and ghastly images, you are embedded into these times musing about the people and their futures along with your own! These characters become united by tragedy, fear, persecution, and need all the while opposites attract and repel almost immediately. However, their secrets, situations, and sacrifices are the glue holding them together, but can these same things be their unraveling? To Lee, Marcus is dead, and to Violet, Marcus helped give her life. For Austin, his career is toast, but for Sam Stiles, Austin’s career is their protection. In Austin, Marcus could have seen a murderer. In Marcus, Austin could not see a criminal. Meanwhile, Constabulary Agent, Jason Mayweather, sees all of them as needing to die. Their past, their backgrounds, the belief systems go far beyond the current times, but they come with them into these days making each question themselves and each other. Helping the criminal Christians is something Lee does at an undisclosed location. It’s where she and a few others seek to give them medical care. Many have suffered losses or endured re-education since much of Christianity is now classified as a criminalized terrorist activity, even their Bibles are now contraband. The Constabulary Agents, whom can be deadly, investigate these innocents. However, things are getting even worse for the country too. Now, Texas is the Republic of Texas and patrols its borders to keep their former government counterparts out. 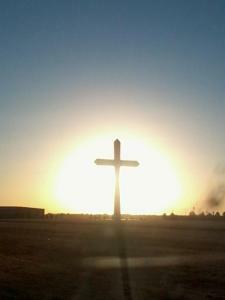 Christians are losing more rights every day outside the Texas border. Knowing that these people are not true criminals has not made Lee adopt their faith, but she will not do what the government wants. Even people within the government are helping the persecuted. In TAKE AND GIVE by Amanda G. Stevens, the absolute power not only establishes corruption, bias, and superiority, but it also breeds sympathizers, resistance, and a safety underground, bringing new purpose and new understanding to the populace. Author Paula Rose brings an “average” family into extraordinary situations, brushes with life-size strokes of reality, adding just a touch of humor, and coats with suspense inside Christian fiction. Paula’s research gives readers a panoramic view from law enforcement and lends to character authenticity. 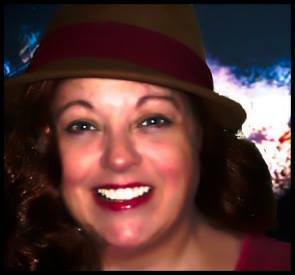 She enjoys writing in the romantic suspense, suspense, and mystery genres, but when she’s not writing, Paula Rose is reading or playing amateur photographer. Member of ACFW. 2015 Genesis Contest judge. NetGalley member. 2014 Grace Awards judge.